When asked what we pay for electricity, most just say…about $ x per month. The approximate dollar amount per month is what we know. Figuring out what we are actually paying for and understanding it is a maze in our electric bills. Sometimes our electric bills can be confusing. While the State of Connecticut has the second highest electric rates in the United States, few of us really understand what makes up our electric bill that ends up making the bottom line as large as it is. Our electric bills are divided into three basic parts: [a] the cost of the electricity, then [b] the cost of transmitting the electricity from the source through to our homes, and then [c] the cost of maintaining the distribution system that enables our electric utilities and energy providers to supply us with steady, reliable amounts of power. All three of these parts: the commodity of electricity, the transmission charge, and the distribution charge, makes up our monthly electric bill – each and every month. Connecticut is in a “deregulated market,” which is to say that the part [a] of our electricity service – the electricity itself, may be purchased from a wide variety of energy providers. The part of our electricity service that remains regulated by the state agency PURA [Public Utility Regulatory Authority], is the transmission and distribution part of the bill. In short, you may shop for a different electric energy provider but your electricity will always be delivered by your local utility [CL&P, UI, etc]. Now, let’s turn to each of the charges and add them up! 2. Transmission Charge $.008835 cents per kilowatt hour, averaged between .009817 and .007854. As you can see, only about ½ of your electric bill is for the actual electricity that you’re paying for [9.4c out of 20.09c cents per kilowatt hour]. The other half is in transmission and distribution costs and then an assortment of added state fees. How does this amount, 20.09c cents per kilowatt hour, compare with other fuel costs such as heating oil? There are 3412 btus in one kilowatt hour of electricity and 140,000 btus in one gallon of heating oil. Therefore, the conversion factor from one to the other goes like this: 3412 / 140,000 = 41.03. That means it takes 41.03 kilowatt hours of electricity to equal the btu equivalent of one gallon of heating oil. Now, multiply 41.03 by the kilowatt hour rate you pay of .2009 cents per kilowatt hour, and you end up with $8.24. That’s right; to buy the Btu equivalent of one gallon of heating oil at the cost of 41.03 kilowatt hours of electricity would cost you the equivalent of $8.24 per gallon. Fortunately, according to the Connecticut Office of Policy and Management surveys of Connecticut oil prices – heating oil in Fairfield County during the week of October 20th ranged from $3.44 to $3.86 – heating oil sells for less than 50% of the cost of electricity. Connecticut’s General Assembly passed legislation in the last session to provide incentives to convert your home or condominium away from electric heat – as it is the most expensive way to heat a home in general use today. Look for loan programs and other incentives soon as electric heat may very quickly become an expensive thing of the past – and a good thing it will be for every one of the 190,000 electric heat users in Connecticut. Every fall, without exception, the media and government and ICPA turns its attention to useful advice for consumers to be prepared for the coming winter. So far, so good. Being prepared for winter makes sense. Unfortunately, where government enters the picture we see less than sensible advice or even observation. The Department of Energy’s Energy Information Agency issues its “winter heating fuels” report in the fall and in that report comes “analysis” of what the coming winter will be like in terms of price and severity of weather. While the EIA does a commendable job collecting statistics, it has something of a less than stellar record being accurate with regard to the clarity of its crystal ball on future prices. In fact, EIA has never been right. Ever. Home Heating Oil: A 50 cent/gallon increase (to $3.89/gallon) in retail heating oil prices over the previous winter. The Connecticut reality: $2.67 for a 140,000 BTU gallon, or $1.22 a gallon less than the forecast. Natural Gas: An increase (to $14.82/MCF) in retail natural gas prices. The Connecticut reality: Natural gas at just under $7.00/MCF. Electricity: Connecticut has the highest electric rates in the lower 48 states. CL&P’s rate is 19.14 cents/ kilowatt hour. In BTU equivalent to heating oil, heating a home with electricity would cost $7.85 per gallon, the most expensive way to heat a home. EIA overlooked states like Connecticut in its belief that heating with electricity over a winter would cost about $800 – when in reality the cost here was closer to $800 per month. Did DOE/EIA predict the “no-winter” winter of 2011/2012? No, they missed it. Did DOE/EIA predict the heating fuels price collapse of 2007/2008 when we had a warmer than normal winter? No, they missed it. Further, DOE/EIA updates their “predictions” every 30 days, correcting the errors made from the previous report. Those corrections rarely make the front page. To be sure, looking into the future and trying to tell people what they will be paying for anything is akin to estimating what the Dow Jones Industrial average will be on January 15th or who will win the SuperBowl or what next week’s winning lottery numbers will be. It’s an inexact science, if science at all. To that end, no disrespect intended, attention paid to private or government estimates of what the next heating season will look like in price or severity should not receive the attention the media gives it as it bears no resemblance to the reality we all actually face. We would prefer to concentrate on sound advice to consumers as consumers have far more control over their energy costs than they realize. Rather than engage in the parlor game of predicting the future – focus on the important things you can do to reduce and manage your energy costs. Your local heating oil retailer is standing by ready to help you get through the coming winter – regardless of what comes! The Combined Public Benefits Charge appears on UI and CL&P electric bills and is paid by all customers. This charge collects the money used to support the Connecticut Energy Efficiency Fund (billed at three mills/kWh, that is, 3/10ths of a cent per kWh) and the Connecticut Clean Energy Fund (billed at one mill/kWh, that is, 1/10th of a cent per kWh). The Combined Public Benefits Charge also recovers the costs that the Connecticut Department of Public Utility Control assigns to the Systems Benefit Charge. The Connecticut Energy Efficiency Fund subsidizes the cost of every ratepayer being able to have an energy audit done on their home. This energy audit encompasses the entire home from the HVAC system to vents and insulation to doors and windows. Given that Connecticut has the second highest electric rates in the United States, one key to reducing the cost of all energy used in the home, including electricity, is by reducing the demand for energy through conservation measures. The way we use energy varies with the application, so the energy audit sees all these uses and recommends ways for consumers to save money on the energy they use. ICPA recommends the use of these energy audits for one, because we all pay for them in our electric bill and two, because the results of the audits will show consumers how to reduce their energy demand and save money. America has a $14 trillion economy and to run that economy takes a great deal of energy from many resources. Oil, coal, nuclear, natural gas and renewables all play key roles in making sure that, whether at home or on the job, America has the energy resources it needs to keep the world’s largest economy running. For every 3% increase in our nation’s gross domestic product there is a corresponding 1% increase in energy demand. Simply put, the 50% increase in the U.S. GDP since 1993 has seen a corresponding 17% increase in energy demand. One reason US imports of oil, natural gas and electricity have all risen since 1993 is due to this fact of an expanding economy resulting in increasing energy demand and the US is not producing more at home to meet this demand. This isn’t to say conservation is ignored in the discussion. ICPA created the first Fuel Oil Conservation program in the nation in 2008. Our program, initially focusing on low income energy assistance program recipients, proved that for every $1 spent on conservation measures we avoided $3 in energy costs. Unfortunately, due to the state budget crisis all but $2.5 million of our $15 million appropriation was sent to other spending needs. Conservation, as with energy production, needs both a long-term view and considerable investment. Bakken. There is a reason North Dakota has a 3.2% unemployment rate, the nation’s lowest. The Bakken shale oil reserve is estimated at 4.3 billion barrels and produces 400,000 barrels per day now. It is estimated that by the end of this decade that production will exceed 1 million barrels of oil per day. Taking more advantage of this resource will require eliminating bottlenecks in pipeline capacity to move the crude from North Dakota to refineries in the Mid-West and Gulf Coast as much of this production is currently moved by rail. Gulf Coast. More than a year has passed since the blowout of the Macando well and oil spill that followed in the Gulf of Mexico. As we look back on that tragic event, we first and foremost remember the lives of those eleven men who were lost. Another memory is of course the federal government’s decision to shut down all offshore oil and gas operations in the Gulf region. Faster permitting of offshore oil and gas projects could create nearly 230,000 new jobs in 2012 and boost the economy by $44 billion, including a surge in tax revenue. We’ve lost more than 250,000 bbls a day in production from our own Gulf Coast and that needs to be restored. Keystone XL Pipeline. Within a few years of its completion, Keystone XL would deliver upwards of 830,000 barrels of oil per day (b/d) from Canada’s oil sands region to U.S. refiners, creating tens of thousands of U.S. jobs. The Energy Information Administration reports that with the additional 830,000 b/d, U.S. production and secure, reliable Canadian imports would supply 57 percent of our crude oil needs – up from 51 percent in 2010. Given the prospect of access to that much oil from a good neighbor and ally, you’d think government approval would be a no-brainer. Unfortunately, not. This week the Environmental Protection Agency suggested that pipeline review by the State Department (charged with approving the project) has been flawed and called for more scrutiny – after three years of study already. TransCanada, the pipeline’s builder, hoped to get approval by last summer! Most of all, there’s the energy. Keystone XL would be part of an access strategy – along with areas currently off-limits to exploration and production in the U.S. and offshore – that by 2035 could provide 92 percent of this country’s liquid fuel needs, according to calculations based on government estimates and other research. In other words, the pipeline could deliver crude oil at levels that would impact U.S. imports of non-American oil. “This kind of quantity can make a big difference to us and to the world in terms of having extra supplies from such a reliable source,” said API Senior Economist Rayola Dougher. Alaska. Even more domestic offshore drilling will be required if our country is to increase its stable and secure energy. One reasonable place to accomplish that goal lies beneath the waters off of Alaska’s northern shores. According to government estimates, that area holds approximately 27 billion barrels of oil, more than the individual petroleum resources of all but eight countries. It also contains 132 trillion cubic feet of natural gas, enough to supply the United States for six years. With our demand for oil and natural gas expected to increase during the coming decades, we cannot afford to leave that energy untapped. Responsibly developing Alaska’s immense resources has the potential to mark a new chapter in America’s energy future. No one denies America and Connecticut will gradually have a more diversified energy portfolio that includes oil, gas, coal, nuclear and renewables. These transitions are not instantaneous and take massive private investment to realize any full potential. We need America back in the business of producing more domestic energy and developing energy projects with neighbors where that makes good energy and economic sense. If we want lower and more stable energy prices America needs to [a] expand domestic production from where we can produce more energy safely and economically, [b] reduce federal impediments to domestic energy production, [c] reduce federal impediments to important energy projects with Canada, as with the Keystone pipeline, [d] expand domestic energy transportation projects with new pipelines from the new resources, [e] keep the federal government from debasing the value of the USD, and if we accomplish these important energy and monetary goals energy speculation challenges weigh dramatically less on our economy and energy markets. America is doing dramatically better in energy conservation, though we have a long way to go. According to the Congressional Research Service, America is sitting on the largest fossil fuel deposits on earth. All we need is the vision, commitment and will to use these resources safely and in an environmentally responsible way. Energy conservation and energy production are not mutually exclusive conversations in our public policy, as America needs to continue to make progress on both fronts. America consumes 25% of the world’s energy because America produces 25% of the world’s total economic output – and all with only 5% of the world’s population. That is truly an example of American exceptionalism to be celebrated! Let’s make sure we have access to the energy resources we need to keep this economic miracle growing and serving our own nation and the world. This morning the President announced that the US would release 30 million barrels from the US Strategic Petroleum Reserve. At the same time, The International Energy Agency announced that it would release 30 million additional barrels of oil from global stockpiles. In February we worked with Rep DeLauro on a letter, later signed as well by Reps Markey and Welch, to the President asking for consideration of an SPR release to deal with the loss of production from Libya. Libya’s 1.9m bbls a day of production was being significantly reduced due to the insurrection that was beginning at that time and continues to this day. Given the turmoil in Tunisia, Egypt, Bahrain, Libya and other nations in North Africa, calming the markets by reassuring them that between increased production and/or releasing stockpiles into the markets the loss of Libya production would be replaced made some sense. So why do it now, five months later? The timing of this move comes just days ahead of the end of the Federal Reserve’s second quantitative easing program. The Fed’s intervention in capital markets by pumping billions of new dollars into the financial system and driving down the value of the dollar has been a driver of devaluing the dollar and inflating food and energy commodity prices. Ending quantitative easing means a stronger dollar, which can reduce energy and food commodity prices. The SPR release will be small and short-term, as the 2 mil bbls a day of crude will be on the market for 30 days against roughly 85 mil bbls a day of world production. Hence, the impact of this SPR release will likely calm markets but not have a significant impact on prices. The thing is, crude prices were already headed down after the Bernanke non-press press conference this week and the Fed’s dim view of the economy and its immediate future. The announcement of an increase in first-time jobless claims added to the dim view of the economy. Markets viewed Bernanke’s comments as bearish and commodity markets reacted accordingly, and headed downward. In explaining the move, the IEA said the releases would amount to 2 million barrels per day. The IEA said the intent is to replace Libyan crude missing from the market, adding that it said there is increasing likelihood of summer oil supply shortfalls, especially in China, where petroleum demand is up 9% over last year and chronic electric power shortages have forced Chinese to turn to diesel generators. 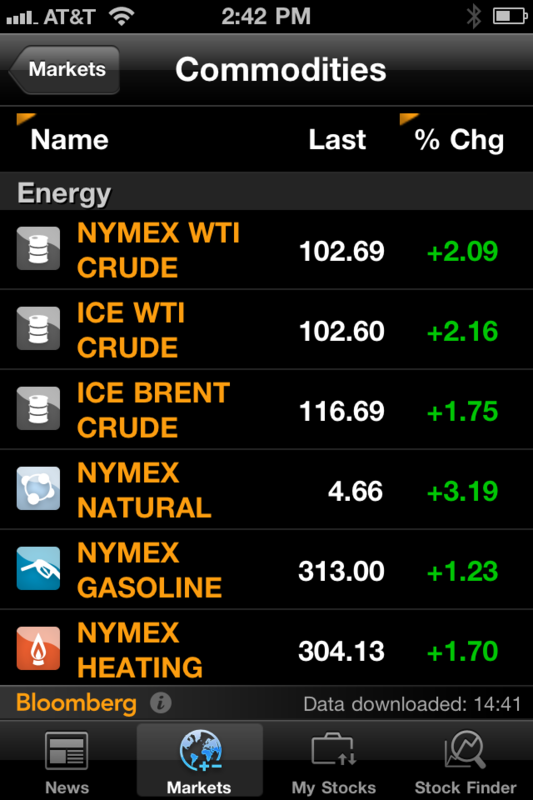 Some economists have predicted that shortages this summer could drive crude up to record highs. The coordinated nature of this move indicates that planning has been underway for some time. Last week came the revelations that Saudi Arabia had in the weeks running up to the recent contentious OPEC been in secret talks with the Obama administration to balance Libyan outages by swapping light crude out of the SPR in exchange for cut rate Saudi heavy crude. The light crude released into the U.S. market by the SPR will free up crude for delivery elsewhere in the world. That deal fell through, or so it seems. Recently the Saudis seemed willing to significantly increase their production, in part to put the screws to arch-rival Iran. With Iran inching ever closer to succeeding in its nuclear weapons ambitions, the U.S. and Saudis will necessarily be looking at all options short of outright military action to bleed the mullah’s power. The Saudis, for months, have been working to increase their oil trade with China, in order to reduce Chinese reliance on Iranian crude. The Saudis talk a good game about being able to dramatically boost their output by as much as 4 million barrels per day if need be. If that’s the case, then why didn’t they? And what happens after this initial 30-day release period is over? There’s plenty more oil in the SPR–more than 700 million barrels–and the administration says it might extend the releases. But for how long? Eventually the stockpiles need to be replaced by newly pumped crude. Maybe Libya’s production will be back on line by then. If not, and if new supplies don’t materialize, the only thing that will keep prices from shooting back up will be the demand destruction that comes with a recession. Short-term supply interruptions, such as with Libya, can be met with increased production from existing world suppliers or by existing stockpiles. We recommended last February to consider an SPR release due to Libyan production reductions that were beginning to effect supplies, as were other political events in North Africa and the Middle East. This is not a substitute for the longer-term requirement of the United States to unshackle the productive capacity of this country to produce more domestic energy. Currently there is an estimated $30 per barrel fear premium of speculation in the $90 barrel of crude. Goldman Sachs own estimate being roughly the same [See http://thinkprogress.org/green/2011/04/13/174989/sachs-speculators-gas-prices/ ], it is clear that the financial markets view speculation as a major driver of increases in crude prices since late January. Washing that speculative premium out of the price of crude is what will drive down prices more certainly and for the longer term, in addition to improving US domestic production and its benefits for our economy. On May 24th the Commodities Futures Trading Commission [CFTC] issued a statement announcing its intention to file suit against three companies it alleges manipulated the crude oil markets in 2008, yielding $50 million in illegal profits for the named defendants. [See http://www.cftc.gov/PressRoom/PressReleases/pr6041-11.html] The CFTC is the agency of the federal government with the responsibility to oversee and regulate the $600 trillion commodities futures markets, an agency of about 600 people with an annual budget of about $168 million. American families lost a total of $19.4 trillion (in 2010 dollars) in household wealth from June 2007 to March 2009, when the stimulus started to take hold. First it was the housing market, and then it was the housing and the stock market together that tanked. American families lost $6.4 trillion in home value during this period. The genesis of the Great Recession we are struggling to recover from is nested in the irresponsible and reckless behavior of the mortgage industry and Wall Street’s use of derivatives. Congress passed and the President signed into law the Dodd-Frank legislation in July of 2010 as a response to the near collapse of the nation’s financial system and resulting losses of wealth by nearly every individual American and the economy and finally, the losses borne by all of us as taxpayers who needed to shore up the financial system from its worst collapse since the 1930s. Yet, in the face of these clear and unmistakable facts, in the last four weeks we have seen two Committees of the House of Representatives vote to delay the imposition of regulations on the very financial institutions whose reckless behavior brought this nation’s financial system to a grinding halt just three years ago. On May 4th the House Agriculture Committee voted along party lines to delay the imposition of regulations under Title VII of the Dodd-Frank law, the part that deals with derivative regulations at the CFTC and SEC, until December of 2012. On May 24th the House Financial Services Committee, again along party lines, agreed to a similar delay from July of this year until September of 2012. Neither the CFTC nor the SEC requested this delay. At a time when Americans are paying dramatically higher food and energy prices, in part due to the ruinous policy of the Federal Reserve through two phases of quantitative easing and pumping $2.3 trillion into the economy and driving the value of the dollar to its lowest value since 2008 – and as a result the rush by purely market speculators pumping hundreds of billions into speculative investments in everything from agricultural commodities to energy – the House Republicans want to slow down the very agencies whose responsibility it is to deal with the consequences of reckless speculative behavior. As the CFTC is trying to stop market manipulation that is costing the American economy billions every day, House Republicans are trying to not only slow down the CFTC by delaying its rules, House Republicans are also proposing to cut the budget of the CFTC and gut its ability to do its job on behalf of the American people. In the last decade we have had the Enron scandal, at once the largest corporate bankruptcy in American history and perpetrator of manipulating the California electricity market costing California consumers over $20 billion in higher electricity costs. We have seen the Amaranth scandal, involving excessive speculation in the natural gas markets. British Petroleum paid the largest civil penalty every assessed by the CFTC in 2004, $303 million, when it was found to have manipulated the prices of propane, gasoline and crude oil. The $600 trillion derivatives market is alive and well today, behaving much as it did before 2008. Let no one say we haven’t suffered enough at the hands of reckless Wall Street behavior, as every American has lost trillions in personal and property wealth since 2008, and the massive unemployment that has come with it. The CFTC has 52 key rulemakings in the pipeline, most of which will deal with excessive speculation in agricultural and energy commodities. The President wants to significantly increase the CFTC’s budget and add 300 new staff so that its responsibilities to oversee these markets, end fraud and manipulation, enact position limits on non-commercial market investors, and seek the prosecution of violations can all be met. House Republicans want to cut the CFTC’s budget, force staff layoffs and delay its rulemaking powers. No delays. No cuts in funding. Protect this economy and the American people from food and energy market manipulation. Now. These two stories cite an unfortunate truth about the uncompetitiveness of Connecticut’s retailers against their counterparts in neighboring states – and the inevitable result. People with the choice will not shop in Connecticut when they have the option of simply crossing the border for lower prices. Connecticut’s state gasoline taxes now equal about 50c per gallon – while in Massachusetts the state taxes equal 23.5c a gallon, 26.5c a gallon cheaper. In Rhode Island, the state taxes equal 33c a gallon – 17c a gallon cheaper. Drivers will shop around town for 2c or 3c less expensive gas so it means along our orders with Massachusetts and Rhode Island we see Connecticut retailers losing a tremendous amount of business and if they bypass a Connecticut retailer for gasoline sales that means Connecticut misses out on sales tax and cigarette tax revenue as well to those neighboring states. Compare taxes and prices in the Northeast > http://icpa.org/consumer_motor.htm Connecticut has the highest gasoline taxes in the region right now – BEFORE Hartford adds another 3c a gallon in the new budget deal. What Is the Dept of Energy and Environmental Protection Hiding?